The rules are to: Link to who gave the award to you; admit 5 addictions; and then pass the award on to 5 other blogs. And my third award is from my bloggy friend Tahtimbo, who is a stay-at-home dad, and writes a blog that I so enjoy visiting because of the relaxed vibe. Another great read :-) He gave me the Friendship Award and this is so kind of him and it's great to call him my friend. Thanks again to all of my blogging friends who passed these along to me. nice post. Hope I'll earn some blog price when I start mine too. Oh Dori, very sweet words and an award on the top of it - thank you very much! Dori --Thank you so much! I'm very happy to be your friend. Have I mentioned lately how much I like your blog? It's true. I am looking forward to reading more of your journey. You are so sweet for thinking of me! I will make my post now. More deserved awards, I see. :-) As you know, I love your blog as well. Thank you so much Dori! I really appreciate this award. I'll pass it on soon. LOL!! Thanks for the awesome honor and for the love! I also have an award for you! I liked the award with 5 obsessions. I am impressed that you were able to limit yourself to 5. Congratulations! Congratulations!! I love your blog and always enjoy stopping by! I will check out these other fantastic blogs and so glad to know someone else has a cheese and soda addiction! 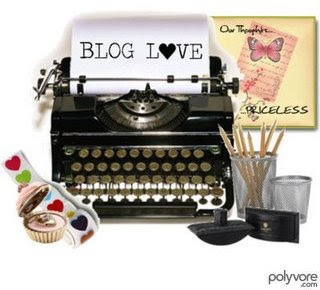 I think the blogs you passed the awards on to are absolutely fabulous.